Wausau Bird Club meets the first Monday of every month. From September – May, meetings are held at the Universalist Unitarian Church, 504 South Grant Street, Wausau, Wisconsin from 6:30 – 8:30 pm. From June thru August, meetings are held in local parks and include a bird walk. The Wausau Bird Club offers a variety of events throughout the year. Here are a few of our future area bird related events that you may look forward to. Tuesday, April 9 7:00 pm – Wisconsin Conservation Congress meeting. Saturday, April 13 7:30 am – WSO field trip to Mead Wildlife area. Follow link for more information. Friday, May 3 7:00 am – Bluegill Bay Park outing with Jeff Moore. Meet in the Wild Birds Unlimited parking lot at 7:00 am. Saturday, May 4 5:00 am or 8:00 am – WSO field trip to White River Marsh. Follow link for more information. Monday, May 6 6:30 pm – Club meeting at UU Church – Program on spring birds. Sign up for Spring Migration Count. Tuesday, May 7 – Bitzke Bird Walk outing with Jeff Moore. Meet at Wausau East High School at 6:30 am. Saturday, May 11th – Spring Migration Count –Club members are assigned designated areas on a grid and asked to identify as many birds as they can in a 24 hour period. The results are shared with the Wisconsin Society of Ornithology’s spring migration count. Wednesday, May 15 – Council Grounds State Park outing with Jeff Moore. Met at the Park entrance parking lot at 7:00 am. Some cars will need a state park sticker. Saturday, May 18 6:30 am – Monk Botanical Gardens – In celebration of World Migration Bird Day join Jeff Moore for a bird walk through the gardens. Meet at the main entrance at 6:30 am. 1800 N 1st Avenue (Bring binoculars if you have them). All are invited. May 30 – June 2th – Wausau Bird Club’s Annual Campout – Members gather around a campfire to tell tall tales of amazing bird sightings. Each morning campers go for a hike in search of area birds. Next year’s camp out is scheduled to take place at Point Beach State Forest. Point Beach State Forest is a 2,903-acre Wisconsin state forest near Two Rivers, Wisconsin in Manitowoc County. 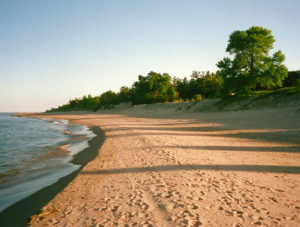 The forest is located along 6 miles of the Lake Michigan coast. Stay tuned for more information. When booking a site, try and reserve one near site 116 to be near the group. Monday, June 3 6:30 pm – WBC meeting at Bluegill Bay Park. Tuesday, June 4 – WBC outing to Dells of the Eau Claire County Park with Jeff Moore. Meet at Wausau East High School at 6:30 am. Monday, July 1 6:30 pm – WBC meeting at Fern Island. Monday, April 1st 6:30 pm – Club meeting at UU Church – John James Audubon and “The Birds of America” – Dr. Brett Barker will explore the life of pioneer naturalist John James Audubon and his contributions to ornithology and art to advance our understanding and appreciation of the natural world. March 4th meeting cancelled! – March 4th meeting Cancelled! Saturday, March 10 – WSO fieldtrip – Sheboygan Lakefront Birds. Starts at 8:00 am at the Sheboygan Marina. Follow link for more information and link to map. Saturday’s March 16 or 23 – WSO field trip in Dane and Columbia County Ponds starting at Goose Pond near Arlington. Follow link for more information. Monday, February 4 – Club meeting at UU Church – Bob and Hiroko Sanders will show pictures of birds taken during their travels. Feburary 15 – 18, Great Backyard Bird Count! Saturday, January 5 – Snowy Owl Trip, Trip leader Dan Belter lead a group to Western Marathon county and were lucky to see three snowy owls and a couple of eagles. Monday, January 7 – Club meeting at UU Church – Darcie Howard, Executive Director of Monk Gardens spoke about the exciting programs, events and future plans for Monk Gardens. Saturday, January 12 at 8:00 am – WSO trip along Milwaukee Lakefront Birding. For more information, visit WSO’s website. Friday, January 18 – Sunday, January 20 – Field trip to Sax-Zim Bog in Northern Minnesota. Dan Belter lead this trip to northern Minnesota’s frosty winter bog. Learn all about it by following this link to the Wausau Bird Club News Page. Saturday, January 26 – Wisconsin Society of Ornithology (WSO) field trip to Buena Vista Marsh for wintering raptors, prairie chickens, and other grassland birds. Then on to Necedah National Wildlife Refugee for eagles and diving ducks and other winter birds. Monday, March 5 Meeting canceled due to blizzard. Saturday, January 13 – Impromptu Snowy Owl Trip – Club members met at at the Wild Birds Unlimited parking lot at 7:30 am and drove to western Marathon County in search of snowy owls. They saw one snowy owl on their way out of town near Menards Building Center on Wausau’s West Side and another one in western Marathon county. The group also stopped at Kate Srozinski’s house to the Eastern Screech Owl inhabiting the next box in her back yard. Saturday, February 10, 2018 6:30 am – Dan Belter lead a field trip to western Marathon County to view winter birds. February 16 – 19 – Great Backyard Bird Count – Bird watchers of all ages count birds to create a real-time snapshot of where birds are. Thursday, March 22 6:15 pm – Help Cub Scout pack 439 build bird houses. Club members assisted cub scouts in building 30 bird houses at Weston Elementary School. Club volunteers include Sue and Dave Haug, Ralph Fisher, and Lucy Nitz. Thanks to Myles Hurlbert and Dan Belter for cutting all of the wood pieces in advance. Monday, April 9 7:00 pm Wisconsin Conservation Congress Meeting – This is an annual DNR Spring Hearing/WCC County Meeting and was held Statewide. Our local meeting was held at DC Everest Middle School Auditorium in Weston, WI. Wednesday, April 18 (9:00 am – Noon) A Bird Walk with Richard Crossley. Richard Crossley, acclaimed birder, photographer and author of the Crossley ID Guide series, gave a bird walk through Stevens Point’s picturesque Schmeeckle Reserve, followed by an intimate social hour and book signing. This program was sponsored by UW Stevens Point’s Wisconsin Center for Wildlife College of Natural Resources and their Continuing Education and Outreach program. WSO Field-trip Rescheduled – Saturday, April 21 – WSO Wisconsin Society of Ornithology board member Myles Hurlburt at the George W. Mead Wildlife Area. WSO rescheduled this field-trip for the Mead Wildlife Area. With snow still on the ground, the group managed to see some interesting birds including, greater prairie chickens on a lek, yellow-headed blackbirds, an American bittern up close a personal, great white egrets, a winter wren and numerous other birds. All in all, a good field trip. Wednesday, April 25 – WBC field trip to Bitzke Bird Walk with Field Trip organizer, Jeff Moore. Plan to meet at Bitskie parking lot at 7:00 am to carpool. Be sure to bring boots and binoculars. Monday, May 7 6:00 pm – Club Meeting to be held at Nine Mile Forest and Recreation Area. We met in the Chalet on Red Bud Road off of County Hwy N. After a short meeting, we went for a bird walk led by Sarah Sabadke and Jeff Moore. Highlights included the Ovenbird, a Raven, Blue-headed Vireos, Ruffed Grouse drumming, and Eastern Towhee. Saturday, May 12 – Annual Spring Bird Count. Club members are assigned designated areas on a grid and asked to identify as many birds as they can in a 24 hour period. The results are shared with the Wisconsin Society of Ornithology’s spring migration count. Wednesday, May 16 – WBC field trip to Council Grounds State Park, Merrill Wisconsin with Field Trip organizer, Jeff Moore. Saturday, May 19 6:30 am – International Migratory Bird Day – Bird Walk in the Gardens, Monk Gardens. Monday, June 4 6:30 pm – Club Meeting at Miller Bottom along the Wisconsin River. Plan to meet in Cedar Creek parking lot behind the Holiday Inn before 6:30 PM to carpool to the site. Bring binoculars, bug spray, your Spring Bird Count forms if you haven’t already mailed them, and wear gloves as we will pick up trash as we walk. Wednesday, June 27 Field Trip to the Mead Wildlife Area with organizer, Jeff Moore. Meet at Wild Birds Unlimited in Rib Mountain at 7:00 am to carpool. Thursday, July 19 at 8:00 am – Road Cleanup – Join club members help make a section of Highway G beautiful. Plan to meet at Bitzke Bird Walk parking lot located north of Cty Hwy G on Rocky Rd. Optional bird watching if interested. Wednesday, August 15 7:30 pm – Annual Swift Night Out. We will meet on Grant Street between 1st and 2nd Street and divided up into groups to cover chimneys in various locations around town. After the survey, we will meet at Culver’s on Bridge St to tally our results. Last year we observed a total of 408 chimney swifts going into seven area chimneys. Saturday, August 18, Shorebird field trip with Dan Belter. Meet at the Wildbirds Unlimited Store in Rib Mountain at 8:00. You should plan to return in early afternoon. Bring binoculars, bug spray, snacks, water and dress appropriately. September 6 – 8th – S.O.S. for Our Flying Bug Eaters: Addressing Declines in Chimney Swifts, Nighthawks, Bats, & Other Aerial Insectivores – Wisconsin Bird Conservation Initiative and Bird City Wisconsin have organized a conference to identify issues and possible solutions to the long-term declines in Wisconsin aerial insectivores – including Purple Martins, Chimney Swifts, Tree and Barn Swallows, E. Whip-poor-wills, and C. Nighthawks. This event will take place at the Country Springs (Ingleside) Hotel, Waukesha, Wisconsin. Follow the link to learn more about this important event and how to registrar. Monday, September 10, 6:30 pm – Club meeting – Mary Bacus gave a PowerPoint program highlighting her 21-day birding trip to Brazilian in the summer of 2017. Thursday, September 20, 5:30-6:30 pm Woodson Art Museum – Michelle Houts, author of Count the Wings: The Life and Art of Charley Harper shared insights designed for nature and art enthusiasts. Friday, September 28, 9 AM – Second 2018 Road Clean Up. Meet at Bitzke Bird Walk parking lot. Bring gloves. If raining at 8:30 am, clean up is cancelled and will be rescheduled. Tuesday, October 9 – 6:00 pm – Club meeting to be held at the Woodson Art Museum with a tour of this year’s Birds in Art exhibition by curator Andy McGivern. Friday, October 12, 5:30 – 7 pm, Woodson Art Museum – Join poet Ronnie Hess, author of O Is for Owl, for a reading and reception in the Birds in Art galleries followed by an open mic to share art- and nature-themed writing. November 2-3, Southeastern Wisconsin Conservation Summit to be held at Forest Beach Migratory Preserve, Ozaukee County – This two-day summit included more than 40 speakers and focus on all topics environmental: past, current, and future research and monitoring, conservation advocacy, and ecological restoration being conducted in southeastern Wisconsin by diverse actors. Saturday November 3, 5:30 – 10:00 pm -Central Wisconsin Convention & Expo Center, Rothschild – 2nd Annual Hawk Tales & Cocktail Fundraiser for REGI (Raptor Education Group Inc.). This is the REGI’s largest fundraising event and will include dinner, a silent auction, raffle, and live music. Monday, November 5, 6:30 pm – Club meeting – Steve and Evie Fisher gave a program on their adventure to Svalbard, Norway where they viewed polar bears and North Atlantic seabirds. Thursday, November 15, 5:30 – 6:30 pm Woodson Art Museum – Behind the Wall of Birds. Join California artist Jane Kim as she tells the story of her 2,500-square-foot mural for the Cornell Lab of Ornithology depicting the evolution of birds. Monday, December 3, 6:30 pm – Club meeting – sign up for the Christmas Bird Count to be held Saturday, December 15 and will also discuss a post county party. Saturday, December 15 – Christmas Bird Count – Count areas were mailed to members who volunteered and the weather was favorable. It has been a tradition for the Wausau Bird Club to hold a get together after the Christmas Bird Count where food, beverage and the choice sightings of the day can be discussed. February 17, 2017, The Great Backyard Bird Count – Bird watchers of all ages count birds to create a real-time snapshot of where birds are. April 8, WSO Field Trip – Mead Wildlife Area – Jeff Moore lead a carpool group from Wild Birds Unlimited’s parking lot departing at 6:45 am. Interested members carpooled to the Mead to meet up with WSO members from out of the area. April 25, 7:00 am – Earth Day bird walk at Bluegill Bay Park (Upper Parking lot – not the boat landing) lead by Dan Belter. This excursion included a slow walk along the trails looking for migrant and resident birds. April 25, 7:00 pm – International Migratory Bird Day Proclamation was announced at the City Hall of Wausau. May 1 – 6:00 pm – Monthly Meeting – at Cedar Creek Park behind the Green Mill Restaurant and BarIn front of convention center. Spring count territories will be discussed. May 12 – The Great Wisconsin Birdathon 2017 – Wausau Bird Club’s team “Wausau Bird Nerds” raised donations traveled throughout central Wisconsin identifying as many birds as they could in a 24 hour period. The club team included Dan Belter, Mary Backus, Myles Hurlburt and Sarah Sabadke. Club members and members of the community were asked to follow this link wibirdathon.org to make a pledge and see the many Wisconsin organizations that benefit from your support. May 13 – Wausau Bird Club’s 2017 Spring Migration Count – Club members are assigned designated areas on a grid and asked to identify as many birds as they can in a 24 hour period. The results are shared with the Wisconsin Society of Ornithology’s spring migration count. May 17 – 19 – Brat Fry Sales at County Market – Club members sold brats and soda to raise money for the the Wausau Bird Club. June 1 – 4, 2017 – Wausau Bird Club’s Annual Campout – Members gather around the campfire to tell tall tales of amazing bird viewings. Each morning campers go for a hike in search of area birds. The 2017 camping trip will be held at Hartman Creek State park, near Waupaca, Wisconsin.June 3 – WSO Field Trip – Northern Kettle Moraine State Forest. June 5, 6:30 pm meeting – Held at Gaska Park, located on the corner of Volkman and Military road in Weston. This is a nice wooded city park with walking trails, creeks providing water for birds, and plenty of parking. A number of warblers have been viewed in this area. We will meet at the parking lot at the east end of the park on Military Road by the ball diamond..
June 16 – 19 – WSO Annual Convention, Potawatomi Carter Casino Hotel – Book your room now. Regristration now open on the WSO website. June 26, 8:00 am Road Cleanup – Join club members help make a section of Highway G beautiful. Plan to meet at Bitzke Bird Walk parking lot located north of Cty Hwy G on Rocky Rd. Optional bird watching if interested. July 10, 6:30 pm Club meeting at Fern Island This meeting was moved because our regularly scheduled meeting feel on the 4th of July weekend. It will be held at Fern Island, located on Wausau’s east side along River Drive just north of Thomas Street. There is plenty of parking and the walking is on level rotten granite paths. The area has woods, the Wisconsin River and some bays and inlets so there is a possibility of waterfowl. July 15 & 16, 11:00 am – 3:00 pm StoryWalk at Monk Gardens – Wausau Bird Club sponsored one of the books on view at Monk Gardens where people of all ages were encouraged to walk the grounds while enjoying wonderful children’s books posted on stakes throughout the garden. Wausau Bird Club volunteers were available at the Chimney Swift Tower to explain the importance of this often unknown bird that is declining in numbers due to habitat loss. August 7th meeting –Swift Night Out where we will count chimney swifts in downtown Wausau. We met on the corner of 1st and Grant Street and divided up into groups to cover chimneys in various locations around town and met at Culver’s on Bridge St to tally our results. A total of 408 chimney swifts were observed going into seven area chimneys. September 11, 6:30 Club Meeting with special speaker – Michael John Jaeger, president of the Wisconsin Society of Ornithology will present Wisconsin’s Proud Bird Conservation Tradition – What’s the Future? The meeting will take place at the Universalist/Unitarian Church, 504 Grant Street, Wausau, WI 54403. Please join us and bring a friend. This is a free event and open to the public. 21, 5:30-6:30 pm at the Woodson Art Museum – Native Birds of Cuba – Cuban ornithologist Nils Navarro, author of Endemic Birds of Cuba: A Comprehensive Field Guide, lectured on the colorful and diverse species of birds found on his native island. This program is supported in part by the Natural Resources Foundation of Wisconsin. Midwest, discussed native plants that attract, shelter, and feed birds to enhance backyard birdwatching. Mariette was available to sign her book after her presentation. Saturday, September 30, 2:00 pm at the Marathon County Library – Flock Together: extinct birds & what they’ve taught us. Author B. J. Hollars examined the extinction of birds from his book, Flock Together, and discuss environmental issues that pertain to Wisconsin and how we can save threatened species and ourselves. MCPL, Wausau, 3oo N. 1st Street. * This event was part of the Central Wisconsin Book Festival, Sept. 29 & 30. Tuesday, October 3, 6:30-9:30 pm – Backyard Bird Feeding – What is coming to your yard? presented by club member Dr. Brett Barker at the University of Wisconsin Marathon Campus in the Terrace Room. There is a $39 fee to addend this class. You may registrar on-line at https://ce.usc.edu/wausau/catalog or by calling the Continuing Education Department at 715-261-6294. Thursday, October 9, 6:30-8:00 pm – Club meeting at the Woodson Art Museum, Curator Andy McGivern gave a gallery walk through the 2017 Birds in Art exhibition providing highlights of this years collection of over 120 new works on view. Sunday, October 29, Road cleanup – Plan to meet at Bitzke Bird Walk parking lot on the corner of County Highway G and Rocky Road. The club began cleaning a three mile stretch of highway a few years ago as a chance to give back to the area. The club is given credit on a sign. Depending on the number of participants, it takes between one and two hours. All supplies are provided by the highway department. Be sure to wear warm clothes. Please call Susan Haug (715) 297-5006, if you would like to help so she may contact you if there is cancellation due to poor weather. Saturday, November 4, 5:00-11:00 pm – Cocktails and Hawktails – Join REGI for their fundraising event of the year on at the Central Wisconsin Convention & Expo Center’s State Ballroom in Rothschild, Wisconsin. Learn more about their evening program by following this link to Cocktails and Hawktails. Saturday, November 15, 1:00 – 2:00 pm — Lessons from Birds Lost at the Woodson Art Museum – Join author and University of Wisconsin Eau Claire English professor B.J. Hollars for a conservation on conservation and a reading from his book, Flock Toghether: A Love Affair with Extinct Birds. You may read a review of Flock Together to learn more about the author and his book. Saturday, November 15, 7:00 pm — Artist Tom Schultz presents The Art of Field Guide Illustration for the Aldo Leopold Audubon in the Lincoln Center, 1519 Lincoln St, Stevens Point. Sue Haug is planning to attend Tom’s program and would be willing to car pool. If interested in joining Sue please call her (715) 297-5006 to make arrangements. Monday, December 4 – Wausau Bird Club meeting. Unitarian-Universalist Church, 504 Grant St, Wausau, WI 54403 The topic at this meeting will be how to use the web to access bird watching websites, use eBird to develop checklists and identify birding hotspots and rare bird sitings. Saturday, December 16 – Christmas Bird Count – Count areas were mailed to members who volunteered and the weather was favorable. It has been a tradition for the Wausau Bird Club to hold a get together after the Christmas Bird Count where food, beverage and the choice sightings of the day can be discussed. May 17, Bus trip to the Horicon Marsh in southern Wisconsin. If interested in attending this trip, please contact us via the club email – wausaubirdclub@gmail.com. May 22, Wausau Bird Club’s Spring Migration Count – Club members are assigned designated areas on a grid and asked to identify as many birds as they can in a 24 hour period. The results are shared with the Wisconsin Society of Ornithology’s spring migration count. May 29, The Great Wisconsin Birdathon 2016 – Wausau Bird Club’s team “Wausau Bird Nerds” are raising donations while challenged to list as many birds and they can find in a 24 hour period. June 2 – 5, Wausau Bird Club’s Annual Campout – Members gather around the campfire to tell tall tales of amazing bird viewings. Each morning campers go for a hike in search of area birds. This years camp is taking place at Governor Dodge State Park, located at 4175 State Highway 23 N, Dodgeville, Wisconsin 53533. June 8, 8:30 am, Road Cleanup and Field Trip – We will meet at Bitzke Bird Walk parking lot on County Hwy G.
Saturday, June 11, 10:00 am – Kestrel Chick Banding, Buena Vista Grasslands. Club president, Susan Haug organized a field trip to the Buena Vista Grasslands for members to witness the banding of Kestrel chicks. Carpooling from Wild Birds Unlimited Store in Rib Mountain. We’ll leave Wild Birds Unlimited at 9:00 am sharp. Directions to the Kestrel Banding site from Wausau: Take Hwy I-39 south to the Bancroft exit 43. Go east on Hwy W until you see a kiosk on the left side of the road. There is a pull out there. We will meet at this location at 10:00 am. The tour is from 10:00 – Noon. There is no fee. The Wausau Bird Club is making a donation to the group. If you have any questions, you may call Sue at (715) 297-5006. Saturday, June 25, 2016, 8:30-10:30am Bluebird Trail, Mosinee Dr. Kent Hall will lead a field trip related to the cavity nesting habits of the Bluebird. Club members and interested friends should meet at the Culver’s Restaurant in Cedar Creek Mall at 8:30 a.m. The field trip will take about 2 hours. Kent is coordinator of the Audubon Bluebird Trail ABT headquartered in Stevens Point. This is the 15th season for the Trail. During that time, the trail has produced 68,000 songbirds, 52,000 of which were Eastern Bluebirds. The trail is not only the “all-time” leader for Bluebird production in Wisconsin, it is the largest and most productive trail in North America. Currently, the ABT has 1,380 nest boxes in 7 counties and is monitored by 80 persons. Kent will show you nests of Bluebirds and Tree Swallows with eggs and chicks in them. He will also demonstrate data recording techniques. The route of Tom and Lynn Grimes will be used to demonstrate monitoring procedures. Tom and Lynn will also be on hand to answer any questions. August Club Meeting and Bird Watching – Monday, August 1, 6:30 p.m. Meet in the parking lot of Fern Island or Isle of Ferns Park on Wausau’s east side off of River Drive. Being binoculars and mosquito spray. Thursday, August 18, 2016, 7:15 pm – Swift Night Out – Chimney Swifts nest in area Chimneys during the summer and migrate south in the fall. They can be seen flying over Wausau during the day and fly down chimneys at dusk to roost. We will meet in the Graebel parking lot near the corner of First and Grant Street, one block west of the YMCA. From there, we will split up and observe area chimneys and count the number of swifts that enter at dusk to obtain a count of the number of Chimney Swifts in the area. Please call (715) 297-5006 to see if the are any changes in the details or if there is inclement weather. Sunday August 28, 2016 – Shorebird Field Trip – Dan Belter and Sarah Sabatke were scheduled to lead a field trip to view migrating shorebirds. Unfortunately, the abundance of rain has reduced the area shores to grassy areas and there were limited areas to view shore birds. The group chose to walk throught Blue Gill Bay Park where a number of warblers were seen that morning. It total 54 speices of birds were viewed by a group of 14 birders. Wednesday September 21st at 1:00 pm Road cleanup. Club members met at Bitzke Bird Walk parking lot on the corner of County Highway G and Rocky Road and cleaned a three mile stretch of highway. After the highway cleanup, participants went birding at Bitzke Bird Walk. Wednesday September 21st at 1:00 pm Road cleanup. Please meet at Bitzke Bird Walk parking lot on the corner of County Highway G and Rocky Road. The began cleaning a three mile stretch of highway a few years ago as a chance to give back to the area. The club is given credit on a sign. Depending on the number of participants, it usually take between one and two hours. All of the supplies are provided by the highway department. Participants often go birding at Bitzke Bird Walk. Thursday, October 13, 2016 5:30 – 6:30 at the Woodson Art Museum Changing Bird Populations Bill Mueller, director of the Western Great Lakes Bird and Bat Observatory and a veteran ornithologist, discusses changing trends in Wisconsin and Midwest bird populations, referencing monitoring efforts, including the Christmas Bird Count and the Wisconsin Breading Bird Atlas survey. October 28-29, 2016 Protecting Birds Through Action & Art conference at Stoney Creek Inn, Rothschild, Wisconsin. Wednesday, November 2, 2016 6:30 – 8:00 pm Tour Birds in Art at the Woodson Art Museum. Join Curators Andy McGivern and Catie Anderson for a tour of this year’s Birds in Art followed by refreshments. 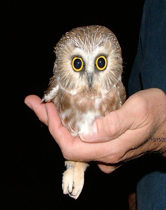 Saturday, November 5, 2016 Saw-whet owl banding at the Linwood Springs Research Station, Stevens Point, Wisconsin. We will meet at the Wild Birds Unlimited parking lot at 6:20 p.m. to carpool. We will depart at 6:30 p.m. and return around 11:00 p.m. Be sure to bring a camera, cash to purchase items, a flashlight, and wear some hiking boots. This is a family event and open to children and adults. The cost is $15, $12 for seniors and $8 for children under 12. The fee is used to help cover expenses to run the research station. Monday, April 1st 6:30 pm Club meeting at UU Church – John James Audubon and “The Birds of America” – Dr. Brett Barker will explore the life of this pioneer naturalist and his contributions to ornithology and art.